Groundradar, in conjunction with our Brazilian partners from Salvador, conducted a survey at a new mineral sands exploration site in Rio Grande do Sul. Penetration reached 60 m, beyond the depth required by the client. UltraGPR is being used in Brazil to map the base of sands as well as image the internal morphology of mineral sand bodies to map depositional facies and induration zones. 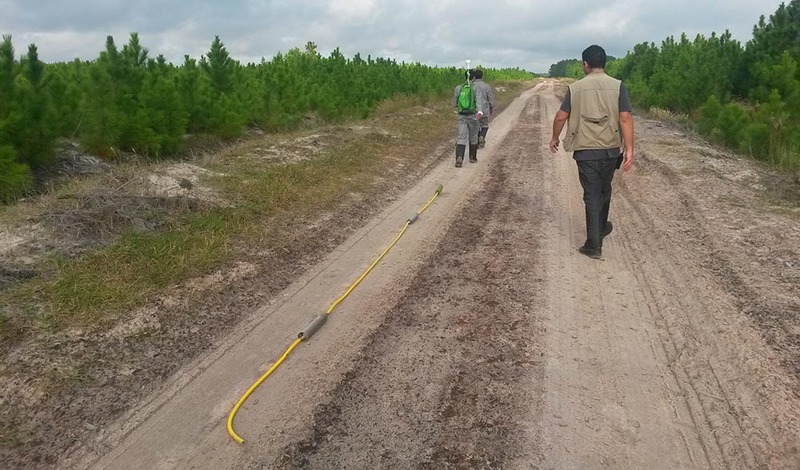 Another mineral sands survey was conducted in Paraiba for a second client. Continuing with on-going work for multiple petroleum companies in PNG, Groundradar completed a survey of five new well pads in the Highlands of Papua New Guinea for karstic voids. Voids were detected to 33 m and the 3D models will be used to strategically position the well cellars and infrastructure.